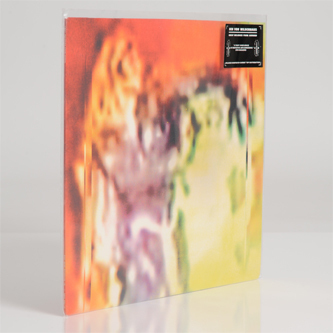 **Outstanding side of quiet, considered Americana-not-Americana, playing through from woozily spellbinding, church-like organ to spectral watzs, dust-bowl strums and Morricone-esque twangs and back again via shady segues and eerie, depressed interludes. A real shot out of the dark, tipped for fans of Sun City Girls, David Lynch, Jandek. 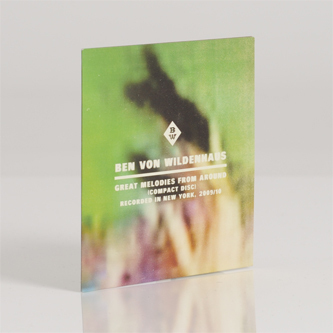 Includes download code redeemable from the label and A4 insert with notation for 'Benstrumental'** "Benjamin von Wildenhaus. Name sounds like a turn-of-the-century Prussian duke or peddler of curios, snakeoil and ersatz jewelry. Maybe not such a bad set of images to start by thinking about, rather than all his influences or whatever. Ben Wildenhaus is a guitar player, pianist and all-'round musical dude, on par with modern guys like Alan Bishop and older ones like Sandy Bull. All three were drawn to the vast space, windblown grit and non- Western twang of desert guitar/oud music. None went the tacky world [sic] music route, Allah etc. be praised. All three instead took gracefully and intuitively to the music’s deeper structure —hazy or unmarked beginnings and endings, subtle dynamic rise and ebb, and unhurried play—and adapted it into their own idiom. They’ve given us ambitious wandering soundscapes, suitable for salt trading by caravan, qat chewing in humid cafés, and walking to work with your headphones on ! To me, Wildenhaus has always made good use of tools like a light touch, melody and subtlety in his songs. Knowing full well that regularly placed lacks-of-music and well considered phrasing set a mood and give songs that much more oomph."